Providing Capital to the Real Estate Industry. Without changing the client’s logo, we gave the company—specialists in financing income-producing properties—a bold, distinctive brand identity with the use of strong colors, clear typography, and solid black rectangles surrounding the photographs. The first step was reproportioning all the elements in their deal sheets and ads to take the best advantage of the space to highlight attributes of the transaction. 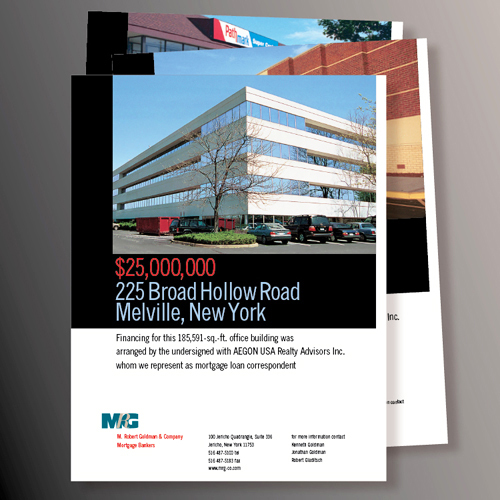 The capabilites brochure tells the Goldman story using the client’s own photographs of buildings they financed—in innovative, filmstrip-like configurations. 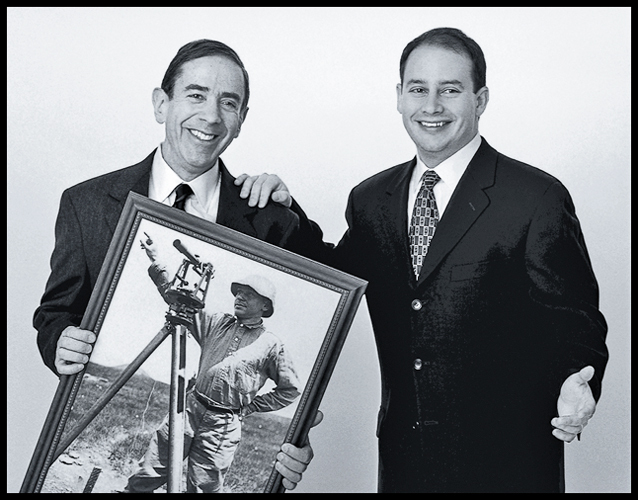 A key component of the story is that it’s a three-generation family business founded by grandfather M. Robert Goldman (1895-1975), now headed by father Kenneth Goldman and son Jonathan Goldman. With teams of professionals in New York and New Jersey, they continue to finance properties that keep our region a key economic force. Templates were created so small in-house teams can easily create complex deal books to interest investors and one-sheets that announce new financings. 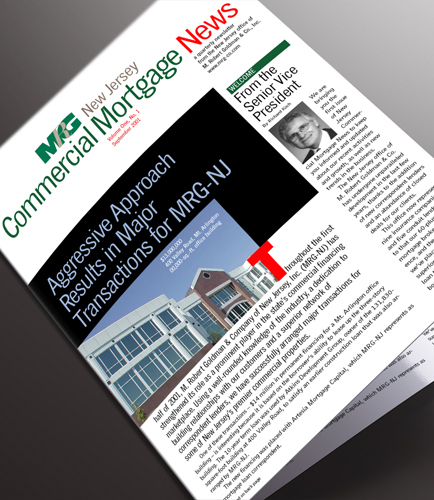 Newsletters highlight MRG’s capabilities in loan origination, due diligence, underwriting, closing and servicing.